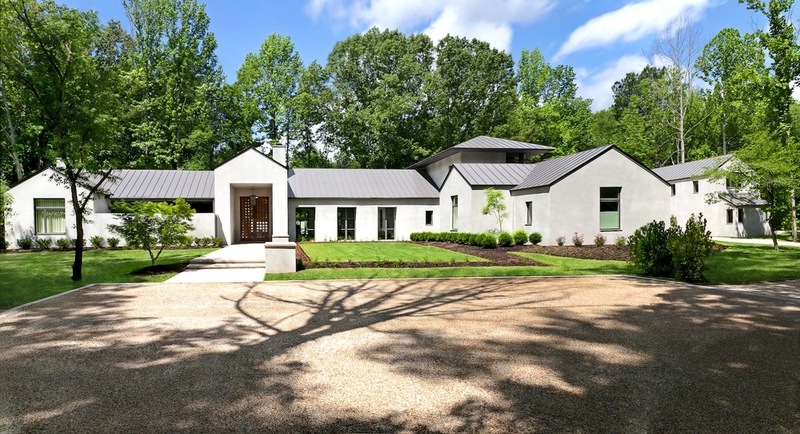 Kairos is a new, singe family residence situated on 10 wooded acres. The site consists of stands of Sycamore and Tulip Poplar trees and divided by a ravine. The program called to utilize the site with an architectural response to the special environment in the form of a family home. Our goal was to integrate daily life with the natural aspects and to provide awareness and experience for the entire property. Using orientation, massing, material, and color palette we were to create a place to gather with family, retreat to nature, entertain friends, enjoy art, and to rest and rejuvenate. 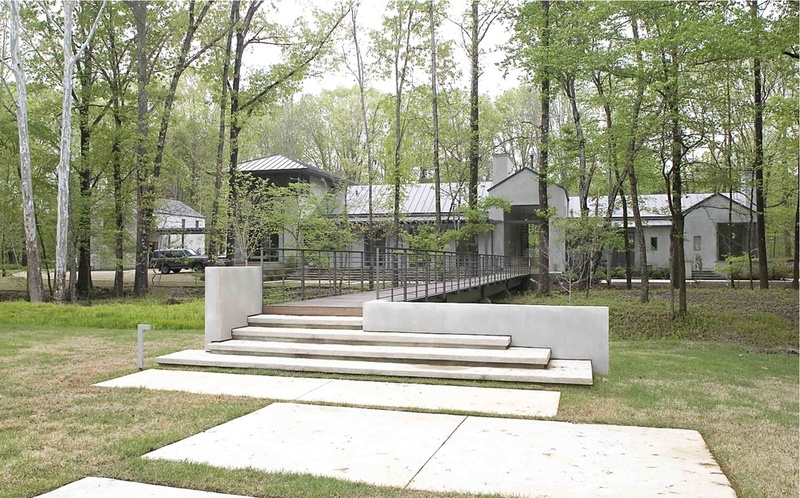 The site’s driveway entry is designed to reveal the house incrementally and culminating the journey experience with arrival in the front hall gallery. An axis establishes the organizing principle for the plan and bridges the ravine, providing a visual and physical connection for the two sides of the property. A summer house, swimming pool and open lawn area completes the site experience. 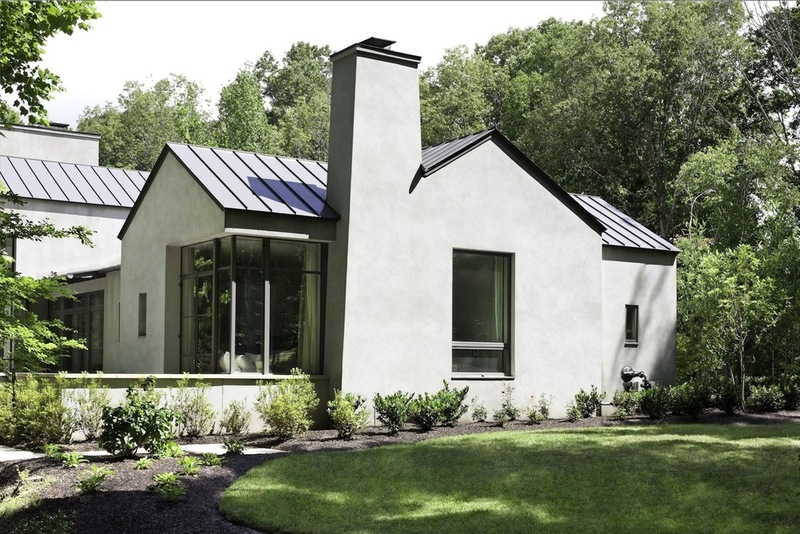 The main house plan is in response to the linear topography defined by the ravine and stream bed. Indoor and outdoor living spaces are arranged not only for functional adjacency, but to move along the ravine to maximize the natural experience. The views are carefully framed with the placement of the windows. 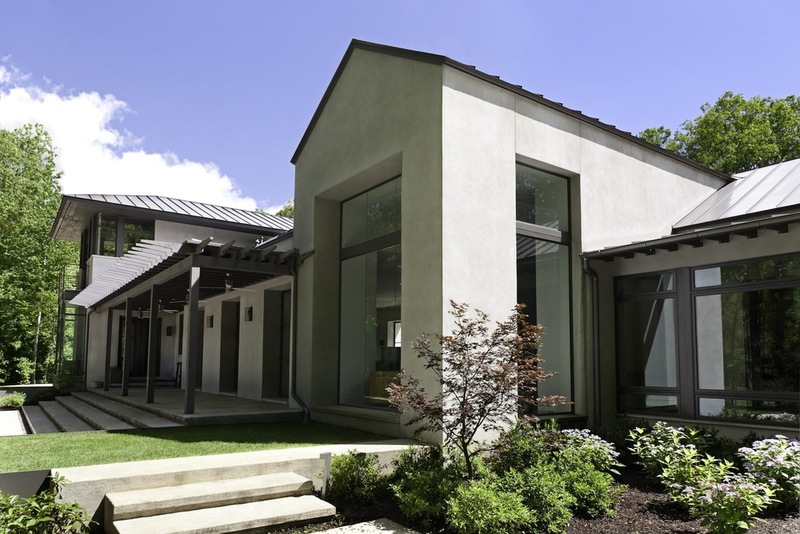 The materials were chosen for the soft and quiet nature of the exterior cement plaster finish, smooth polished concrete floors, soft metal roof, and the color palette mimics the hues found in the tree bark and other natural elements onsite.